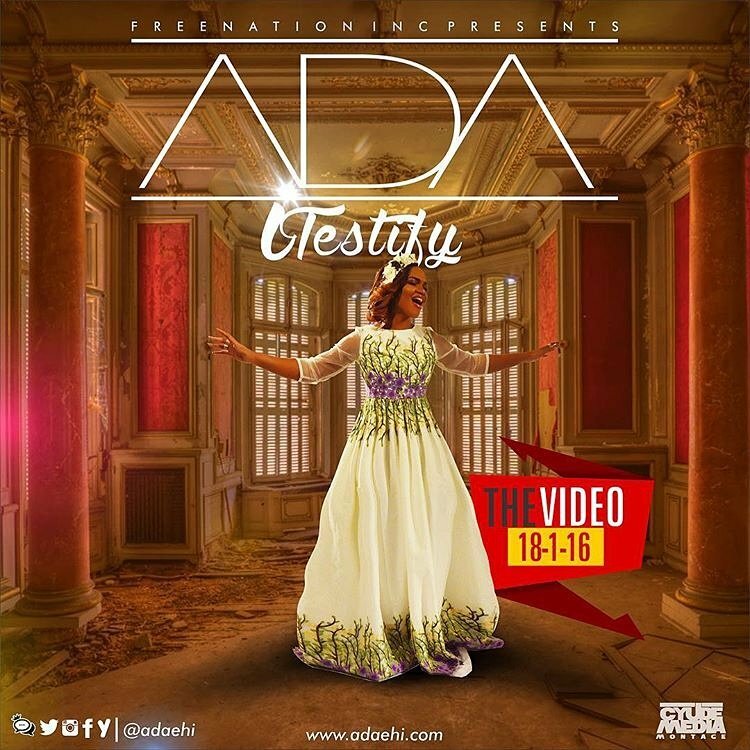 FreeNation INC presents the visual for the phenomenal single “iTestify” by Ada. Rapidly garnering more listenership on a global scale and without a doubt one of the best releases of 2015, “iTestify” is not only a hit because of the instant gratification it delivers in terms of expertise but also, as a result of the overwhelming spiritual deposit. Ada left no one out in her depiction as the video resonates with all categories of people. She celebrates with friends, fans, loved ones, using clips & symbolism as representation of various situations that anyone out there could find himself presently. She amplifies the miracle in the situation; hence, giving a reason to testify. Directed by Carel Films, “iTestify” is Ada’s first release for 2016. It comes with the launch of her new website – AdaEhi.com – and shortly after her deal with Techno Mobile for her materials on the Techno Boom player. The video has cameo appearances by revered Gospel music ministers such as Sinach, Frank Edwards, Joepraize, Ayo Vincent, Kelly Lyon and many more. Join Ada as she further publishes the name of Jesus, testifying that He is still alive and is still doing countless miracles everyday.